Decades from now, people taking trains to college classes, a hospital shift or office job, to restaurants and sporting venues, or to the airport won’t have a clue they have Mark Fuhrmann to thank. Even today, many have not heard of Fuhrmann—and that’s by his design. Metro Transit’s director of light rail and commuter rail projects has deliberately avoided public recognition. He carefully stood behind office holders at public events and ribbon-cutting ceremonies for the METRO Blue Line in 2004, Northstar commuter rail in 2009 and Green Line in 2014. (This wasn’t difficult, given his modest height, or his trim figure maintained by 4 a.m. daily runs in all kinds of weather.) If politicians insisted that Fuhrmann join them in the foreground for a photo-op, he would politely oblige but later direct staff to crop him out of the frame. But leaders at Metro Transit and Metropolitan Council recognize Fuhrmann as the person responsible for the region’s 62 miles of passenger rail (40 miles for Northstar and 22 for LRT). Upon hearing that Fuhrmann is retiring on Aug. 14 after serving the region for 25 years, their praise was universal. Peter Bell, who was Council chair during the Green Line’s engineering and early construction phases, relied on Fuhrmann’s judgment and integrity as they moved the project forward. Former Council Regional Administrator Pat Born said Fuhrmann’s mark on the region will last at least a century. “The major transit investments Mark has led have already moved millions of riders to school, work and fun places. They have created thousands of jobs and billions of dollars of investment,” Born said. Since the inception of the two LRT lines and Northstar, Metro Transit has served more than 190 million passengers on its rails. At last count earlier this year, more than $8 billion in development investment has occurred or is planned on the Blue and Green lines and their planned extensions to the southwest and northwest. The projects have so transformed the region and communities they serve that as municipalities refresh their comprehensive plans this year, many seek to focus development and density around existing and future transit stations. The public often saw Fuhrmann’s encyclopedic memory for events, dates and financial information on display at public meetings, but he has another side that is less known, Born said. “Mark’s quiet dignity and ferocious stands for quality and ethics are often overlooked. Building transit projects in the Twin Cities has meant facing huge obstacles and dealing with angry and often powerful people. Mark respected all of them but kept his head down and pushed forward,” Born said. “With his departure, he hands off projects that are ready to enter construction. Both Blue and Green Line extensions are rated by the Federal Transit Administration as “medium high” and deserve to secure Full Funding Grant Agreements soon. He has expertly guided those projects to their current point,” Lamb said. Fuhrmann is fond of saying he was born at the former Midway Hospital on the Green Line and grew up in northern Golden Valley “in the shadow of Theodore Wirth Park,” which the Blue Line extension will bisect for part of its 13.5 miles from Target Field to Brooklyn Park. He attended Robbinsdale High School and earned his undergraduate degree in urban geography from the University of Wisconsin-Eau Claire. In his first foray into public service, Fuhrmann interned in the summer of 1981 with the Metropolitan Parks and Open Space Commission. He supported the operations and maintenance task force. “One of the recommendations we came up with was to seek permission from the Legislature to levy a candy tax. It didn’t get any traction,” Fuhrmann recalled, with a smile. After finishing his graduate studies in planning at the University of Minnesota, Fuhrmann worked for a private bus company. He then moved to Washington, D.C., to work on the build-out of the Metro system from 1985 to 1993. His assignment was in northern Virginia, where he worked on the opening of three Metro extensions and the introduction of the first two commuter rail lines in northern Virginia, the Virginia Railway Express. After eight years, he returned to Minnesota to work for the Metropolitan Council’s transportation division. It was an opportunity to come back home and be closer to family while working in his area of professional practice. “Initially, rail discussions were not positive,” Fuhrmann noted, “but then in 1998 Governor Arne Carlson and the Legislature decided to approve the first installment of $40 million in funding for Hiawatha.” Fuhrmann eventually became project director of the METRO Blue and Green Lines and Northstar Commuter Rail Line when they were in engineering and under construction. The Minnesota Public Transit Association named him the state’s 2014 Transit Professional of the Year. “Twenty years later, we have three rail lines in revenue service that have served over 190 million passengers, and the two LRT extensions are well positioned to secure federal funding and go into construction soon,” Fuhrmann said. Although Fuhrmann officially is retiring, he starts a second career in August. His new title is associate vice president for HDR Engineering. He will serve as HDR’s program director for New Starts projects for the Northern Indiana Commuter Transit District (NICTD), which operates commuter rail service between South Bend, Ind., and Millennium Station in downtown Chicago. With an average weekday ridership of about 11,500 passengers, NICTD is the only interurban electrified line that continues in operation in the United States. Service began in 1908. NICTD has two New Starts projects that Fuhrmann will shepherd from their offices in Chesterton, Ind. One is West Lake, a nine-mile southerly extension of the South Shore Line between Hammond and Dyer, Ind., in western Lake County. The second one is the Double Track Project, which will install a double track where currently only a single track lies between Gary and Michigan City. Trains traveling in opposite directions will no longer need to take turns. 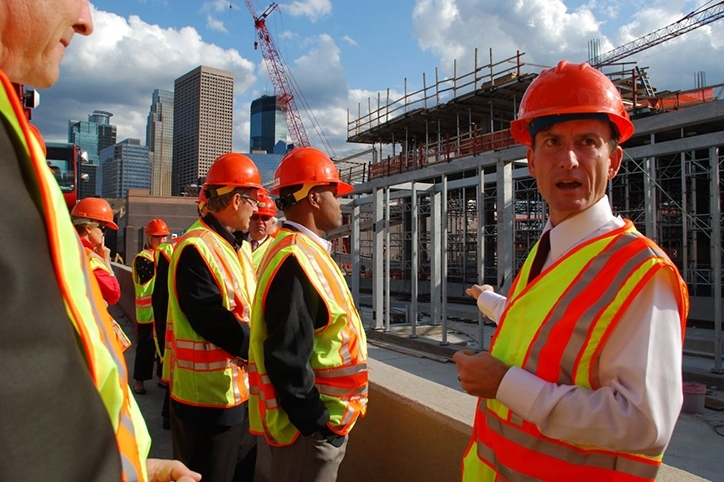 “The thing that makes me sad is I am going to miss the dedication of all my colleagues and the friendship of working with them all these years as we all worked with one purpose in mind: to build out the METRO system here in the Twin Cities,” he said. Fuhrmann had some words of wisdom for staff as he leaves. “Communicate, collaborate and coordinate with all the stakeholders – political, community and staff,” he said. 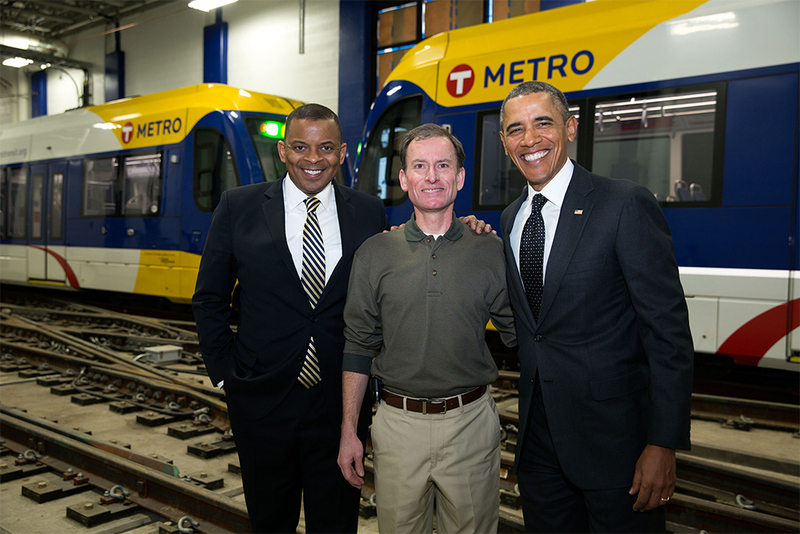 REPRINTED FROM METRO TRANSIT'S BLOG, THE RIDER'S ALMANAC.